Great UX design emerges from measurement and insight. 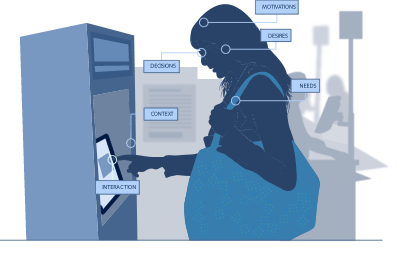 Great user experience combines Research AND Design. 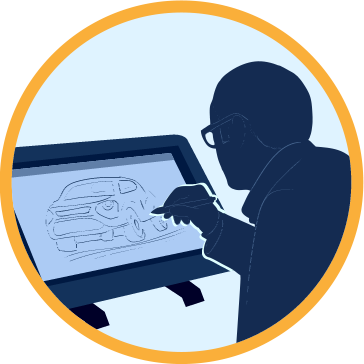 Greatness is achieved through User Centered Design (Learn about our service). Watch your users stress-test your design! 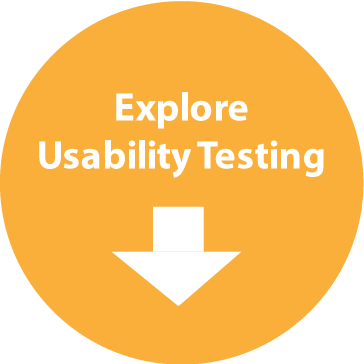 Usability testing is the most powerful tool to discover if your design works. Does your design meet your users expectations? Do they navigate? Are they confused? Do they make mistakes? 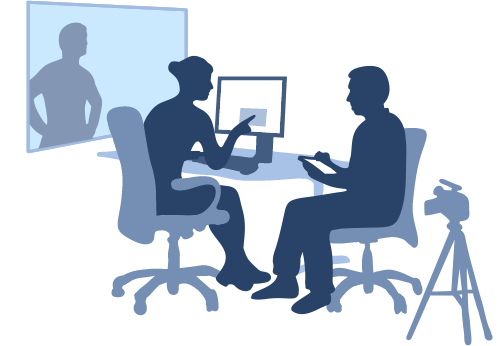 Most of all usability testing can help you avoid features that confuse or complicate. 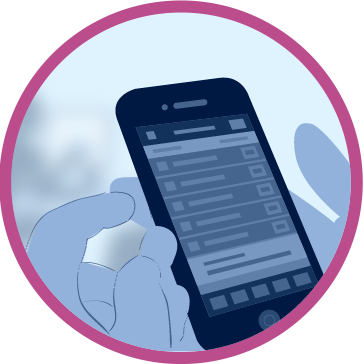 Usability testing can give you an insight into how your users think using "Think Aloud". Give your users tasks and watch them sweat! User testing is the best way to improve the quality or mitigate the risk of delivering a poor user experience. 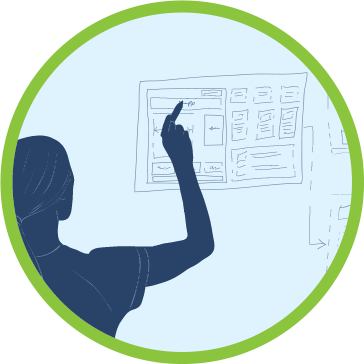 Our usability testing is Agile-friendly so you can quickly use insights. Measure success directly from your users. Get validation on your design direction. Target your customers, better-- target their behavior, workflow and cultural triggers. 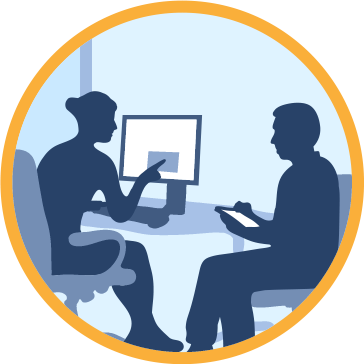 Day-in-the-life visits or contextual interviews take place in your customer's home or workplace. 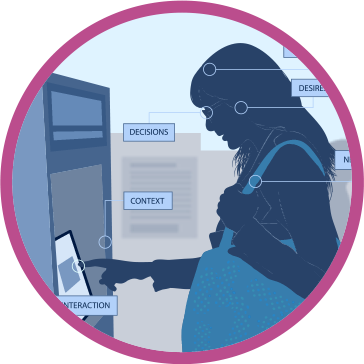 This context research aims to intercept how and why users relate to your brand and how they go about solving their problems. Whether it's a purchase decision or just getting something done, aligning design decisions to actual user behavior is vital to profitability. Gaining empathy from field studies is a powerful tool for Design Thinking. Personas are design tools we use to map user needs to your features and functionality-- for improvement or for innovation. Our field studies are Agile-friendly so you can quickly use insights. Understand what users desire most. 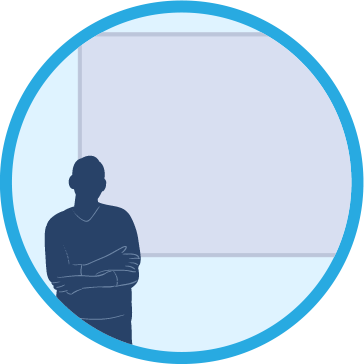 Uncover the motivational and emotional aspects of your UX (desirability). Figure out what content, features and functionality users really need. Make sure your design really works for users with disabilities. 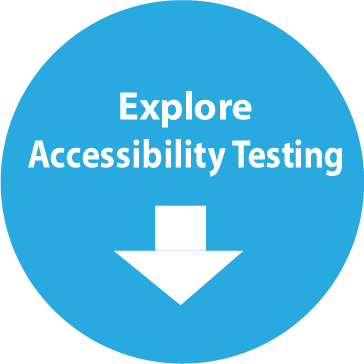 Our accessibility audit and accessibility testing can help you make your design universally accessible. 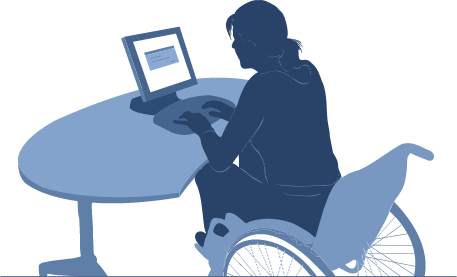 Accessibility testing involves in-person interviews with disabled users in their homes or work places, using their assistive technology. This gives you an accurate insight into specific accessibility issues. 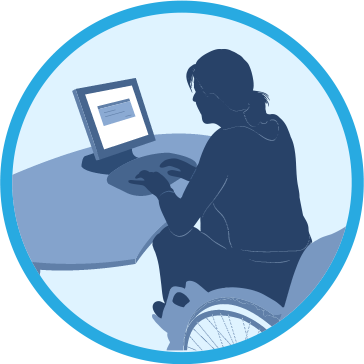 Our accessibility testing is Agile-friendly so you can quickly optimize your code. Make your design work for everyone! Adhere to Section 508 and new US Federal standards for video and mobile accessibility. Improve browser standards (W3C) and usability performance. Expert reviews give you a fast way to audit or benchmark your existing or proposed design. 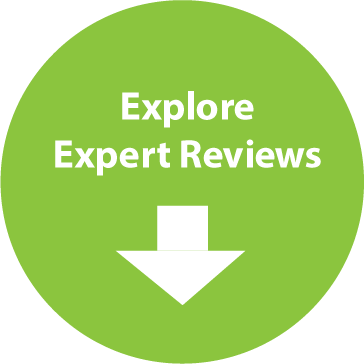 The expert review combines the power of user advocacy, best practice guidelines and user interface style guide adherence. 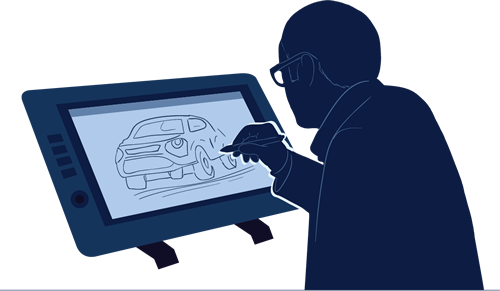 The design review checks your design for known issues, problems and opportunities. A list of heuristics (guidelines) and usability best practices are evaluated-- specific to your design and industry. Identify issues and opportunities with your design. Audit your user experience- see how you are doing. Get recommendations on how to improve your design or conversion paths. 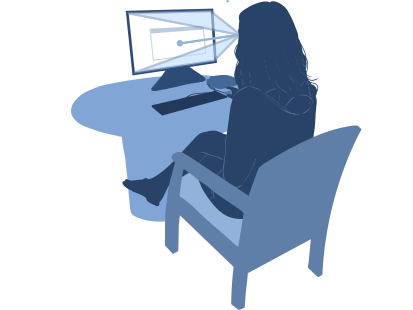 Eye-tracking shows you where your users eye-brain is really looking. 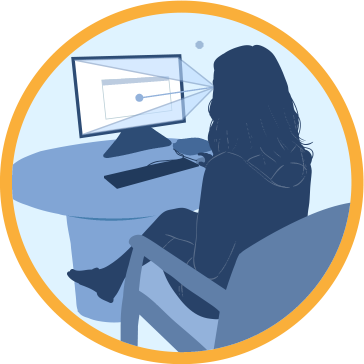 A window into how your users are thinking, our eye-tracking technology is state-of-the-art in its non-intrusiveness and accuracy. 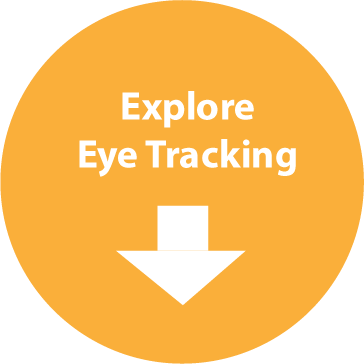 Our eyetracker is portable and can be taken anywhere for fast, just-in-time eyetracking of Desktop, Web and Mobile designs. Watch your customer heat-map your design. Pinpoint irrelevant or offending aspects of your design. Underneath every design is an interaction model. This model dictates how a user interacts with an interface. 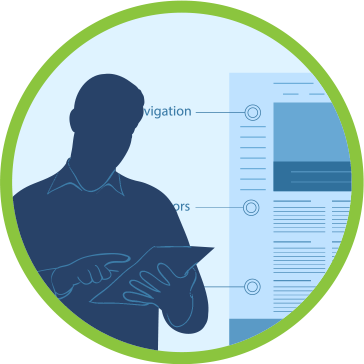 Interaction Design maps out the flow, navigation and use of each aspect of functionality, including your conversion path and call to action. Wireframes are the main output of this User Interface (UI) prototyping effort. Our Interaction Design process starts with mapping persona needs and desires to the wireframe. 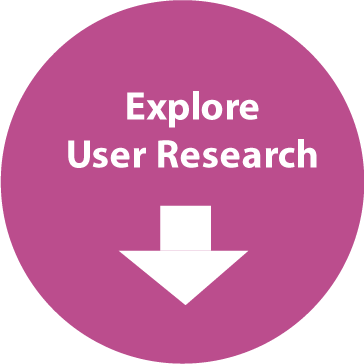 User research is used to gain insight, advocacy and empathy for user goals. 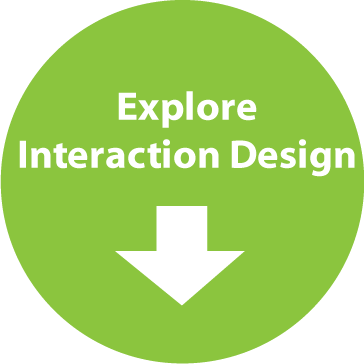 Interaction Design lets you explore concepts and ideas and test them with users. Strategically plan every step of your user experience. Bring usability best practices to your design process. 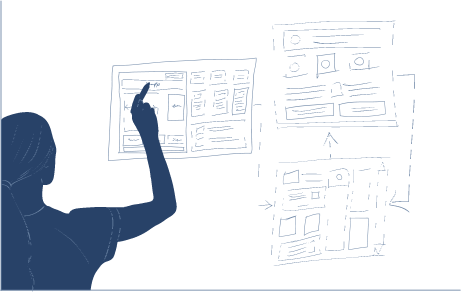 Create a blueprint or UI specification to keep developers on track. Learn how to design user interfaces for Mobile, Desktop or Websites/ Web applications. We are a world leader in user experience trainings. 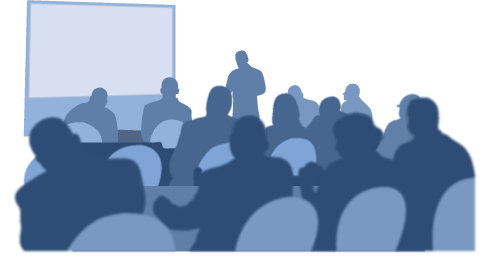 We have been providing online usability seminars since 2002 to teams like Apple, Amazon.com, Citigroup, Toyota, Fujitsu, Nike, Yahoo!, Regence, Sage, Intel and Intuit. Our in-house UX trainings- at your office- have been delivered over 15 years to companies like: Capital One, HP, Microsoft, IBM, KeyBank, Providence Health System, GE Security and dozens of others. Trainer with deep experience 18 years training; 15 years usability consulting to Fortune 500. Hands on learning that's brain-friendly (fun and practical). Learn from our mistakes and successes. Mobile usability is more important than ever. Users complain that mobile sites and apps that don't perform to their expectations are easily abandoned. Designing mobile websites and apps requires the same level of adherence to usability as for Desktop, if not more. Don't make the same mistakes you made on Desktop sites and applications! We can help you design not just a usable app or site for mobile (iOS, Android) that's not just easy to use, but emotionally compelling. 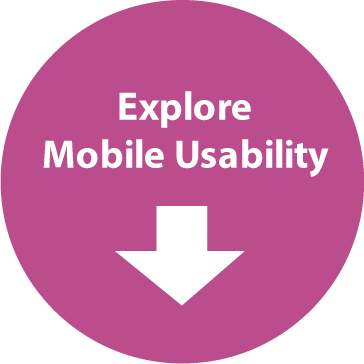 Avoid risks of offering a sub-par or poor mobile UX. 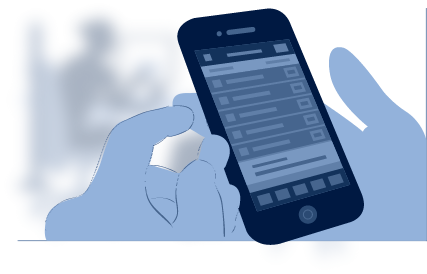 Leverage best practices in user-centered mobile design. Refine your mobile UX using emotion design and social UX. Is eye-candy important? You bet! At least that's what the research shows: You have 50 milliseconds (0.5 sec) to make a good impression on a website (Lindgaard et. al. 2006). Google's research (Tuch et. al. 2012) drops it further to 17 milliseconds (0.017 sec) for certain design elements. This means feelings of trust for a design occur without conscious thought. Good visual design impacts whether users perceive it as easy to use, which has been found to impact their intent to purchase. Your choice of graphic design, layout, icons, typography and user interface elements are hugely important to perceived ease of use. 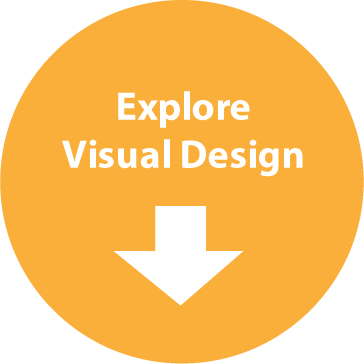 Our visual designers can help you look cutting edge, intuitive and easy to use. UX and visual / graphic design all under one roof. Keep the UX from getting lost from your well intending designers. Get new ideas and inspiration from world-class designers.